If you are planning a trip abroad, the chances are you will need to book flights before travel. As with most travel purchases, flights are usually cheaper the sooner you book them in advance, especially with the low budget airlines and if the flight is a ‘Scheduled’ flight. Yes, there are circumstances when flights are cheaper closer to your travel date (usually on ‘Charter’ flight run by tour operators) but when you are planning a holiday, the first thing you need to get in place are your flights. 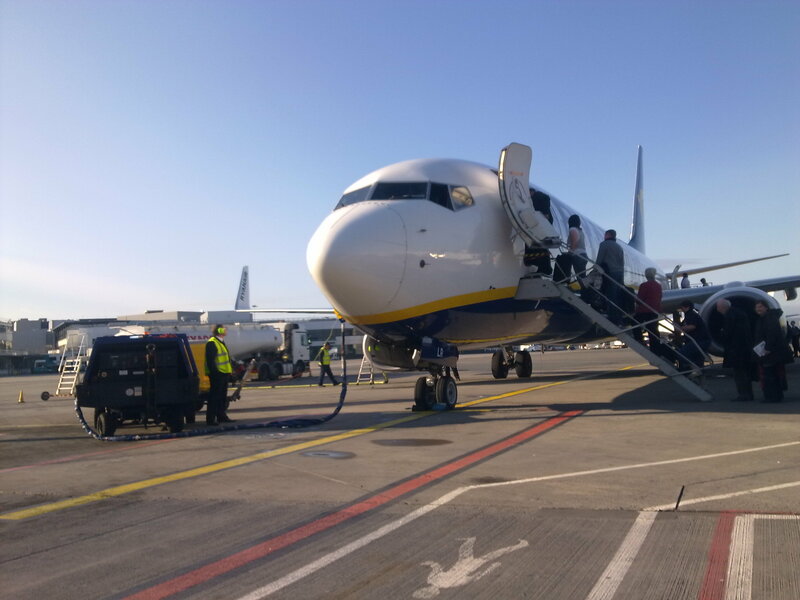 Today more and more people are now choosing to book their own flights independently and when you consider how easy it is to do so and how much money you can save when ‘doing it yourself’, it is not hard to understand why so many people choose this option. However, although choosing to book your own flights independently can save you money, it can also be a pains taking and time consuming exercise for many people, especially if they do not know what they are doing or where to look! The amount of airlines that now offer flights to destinations throughout the world is considerable and trying to find the best deals on flights for your specific dates can be difficult, even more so if you are trying to visit each and every individual airlines’ website. Flight comparison websites are simply websites that search all the airlines for flights and then provide you with a list of results that allow you to compare flight prices. Your origin from where you wish to fly from. Once you submit your details, the search engine then compares all the available flights and then returns a list of prices from all the airlines. Flight comparison websites are a fast and efficient way to search all the major airlines in one go. With the latest technology, the flight comparison websites can search all the airlines quickly and can return their results in seconds. This obviously then eliminates you having to visit hundreds of websites individually and reduces the time you spend searching for your flights. To be honest, as soon as you type in the word ‘Flights’ into any search engine such as Google, you will be presented with a number of well-known websites offering flights. Most of these websites are ‘comparison’ websites and offer you the option to search for flights. Most people when searching for flights online simply type in relevant keywords such as ‘cheap flights’ or include the destination such as ‘flights to Madrid’. If you do this, you will no doubt be presented with a large number of different flight comparison websites. You can also simply type in the keywords ‘Flight comparison websites’ and this to will return a large number of options for you to choose from. Further down this page I have provided a list of the most popular flight comparison websites online. There really are so many flight comparison websites now available online and it would not be fair to single out just one of them. The reason being is that they all have a different variety of flights on offer and all provide different results and prices for individual searches. What might be a good deal for me may not be the best for you and it is all based on the individual’s personal requirements. The best policy is to compare flight prices with several of the comparison websites and then decide which one is the best deal for you, at that time. The simple answer is yes they do. In fact, it is amazing just how much the prices can vary at any one time and this is why you should never purchase the first flight you see. Always shop around and compare! However this said, be warned that flight prices do fluctuate and can fluctuate quickly in a short period of time. If you leave it too long and procrastinate, you can easily find that when you return to the website the flight has either increased in price or has simple gone! My advice would be always compare flight prices but be sensible and do not waste too much time, especially if the flights are in high demand. You should always factor in how much the flights vary and if it is only by a few pounds, is it really worth spending more of your time looking? Although there are a large number of flight comparison websites now available online, there are several websites that are more popular than others. Many of the household name websites are ones that you may not actually associate as being comparison websites. Some of the more popular comparison websites not only offer flight comparison searches but also offers comparison searches for hotels, car hire and airport parking. These websites really can be useful tools if you have one or two travel extras you need to book for your trip. Compare flight prices with all the major airlines to destinations worldwide in seconds, using the top leading flight comparison websites. Get the best deals today. The following list are just a few of the more popular flight comparison websites and ones whose names you may already be familiar with. Using the flight comparison websites that are available is a great way for you to not only save time but also to ensure you find the best deals possible and save money on your flights. Always compare the prices with several of the flight comparison websites to receive a realistic price to which you can set a guide.